Where was I? Oh yeah- my complaint. At least it can be — if you aren’t careful. 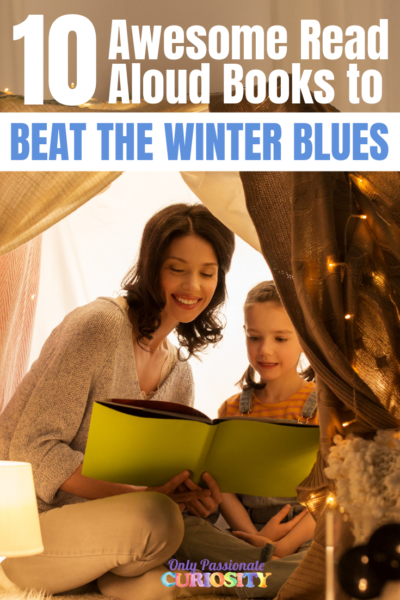 I feel like I have made every mistake in the book in my first year homeschooling, and therefore, am well equipped to tell you how to do it better than I did. 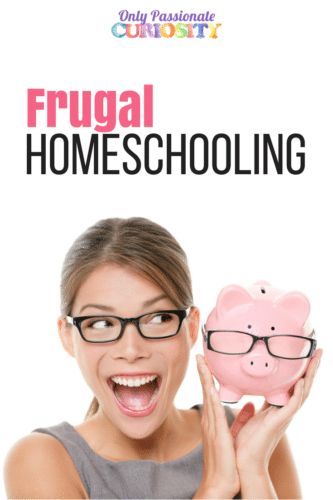 To spare you the pain my pocketbook feels, here are some of my best tips and tricks for homeschooling on the cheap. When planning your homeschool year, it’s always a good idea to check for free materials first. Don’t purchase a full year of a new curriculum when you can purchase individual units to test drive (it stinks to be stuck with a full curriculum you don’t want to teach). New Homeschoolers especially should be careful of this; it takes time to get to know your child’s learning style, and what will work for you as a teacher. 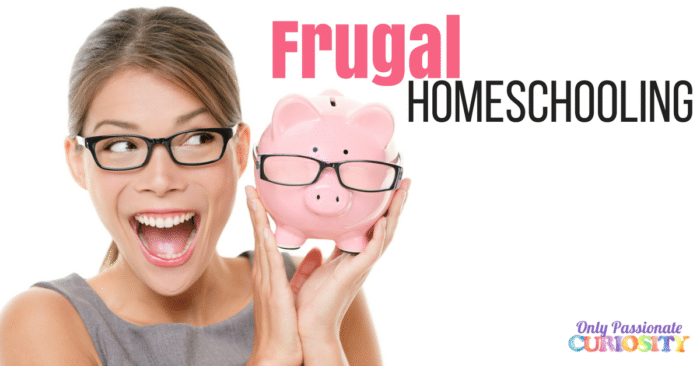 It is okay to purchase slowly while you get to know what will work for your homeschool. Homeschool curriculum seems to come in every price range. I can pay $215 for one child, for one year of math with Right Start Math. I can also use MEP, a fantastic program, for free (well, for the cost of printing). Almost every subject you could dream up is available for free online. Don’t believe me? Check out my Free List. I have hundreds of links to quality curriculum, everything from a full year of Grammar to middle school Chemistry. Buying used is my new favorite thing. 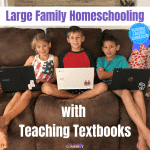 There are many forums and Facebook groups where you can buy and swap used homeschool curriculum. I’ve actually always had good luck getting almost new curriculum for half the price of the same book new. Check buyer feedback and buy from people who post frequently (they are less likely to be scammers). Ask for a picture of the product so you know for sure what you are getting. Clarify the condition of the product (Are there markings? Cover wear? Is the home smoke free? What condition is the binding in?). Ask for a tracking number on the package. Never pay with “personal” PayPal. There is no sense hanging on to curriculum you can’t use. Let it goooo, let it goooo. Try and sell it for half price before donating it or throwing it away. I sell at the same places I buy from. However, I have been “burnt” selling- so sell with caution. 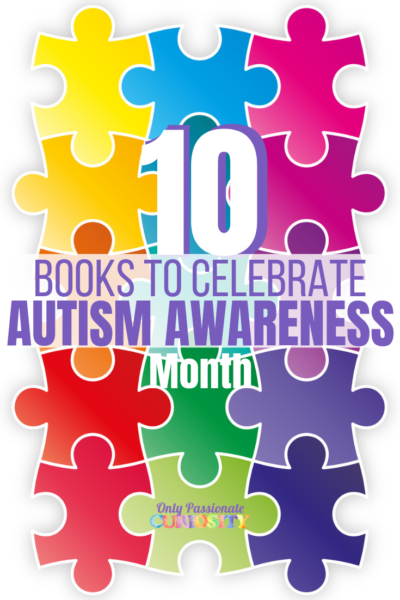 Be explicitly clear when describing the condition of your book. Double and triple check it for stray markings. Pay for tracking and insurance when you send the package, even if the buyer doesn’t ask for it- this will protect you more than them anyway. Don’t sell your product for less than it will cost to ship it (in this case, please donate it!). 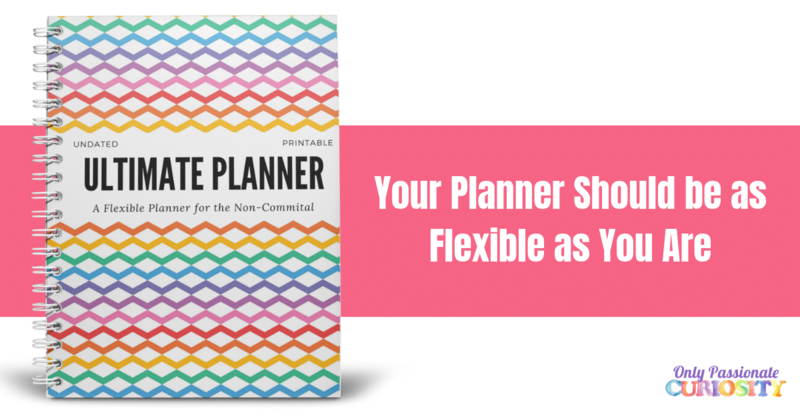 The most important thing to remember when trying to homeschool within a budget is to plan ahead. I don’t mean ahead as in know what you are teaching 3 years from now (because we all know things change). But DO know what your plan is for next semester. I keep a spreadsheet with the things I need to buy within the next couple months, along with their full price and the highest price I am willing to pay used (typically 50 percent of retail + shipping). I keep this list on my desktop so I can add to it, and then I watch the sales. The list also helps me avoid impulse purchases. It’s too easy to fall into the trap of buying the newest, shiniest curriculum, or adding in yet another supplement. If it isn’t on my list, I don’t buy it. I totally agree with your post. I have been homeschooling for two years and have made a lot of mistakes. One question… what do you mean by ‘personal’ Pay-pal? I only have one? When you are sending money through paypal you have a choice between making a purchase, or sending it “personal” (there are two tabs on the send money screen). If you choose personal, you loose buyer protection. Some people ask for “personal” paypal payment as a way to avoid paypal fees, but it just isn’t a safe way to do a transaction. HTH! By the way I came over from the Crew! Oh, you are so right about finding about your kiddo’s style first!! My biggest burn: Five in a Row. I adore the concept, especially the read-aloud. What does Jude hate most? The read aloud. He “checks out” on me — it’s too hard for him to concentrate/decode sounds, so it’s an exercise in frustration. I am holding onto it for my younger son, though — hopefully he likes it. Great How-To! Visiting from the Blog Cruise. I stopped by from the Crew!